for the meaning of these words, then translate them into your own language. If you are a teacher, please check out this video: Click here! Create word lists and Sentence Libraries ANYWHERE! 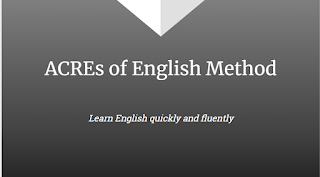 By following the ACRE of English Method's 8 steps, as outlined in the course, you will be able to create powerful word lists and sentence libraries anywhere you have Internet Connection and a smartphone. Follow the steps in the course and then watch your word lists grow. Then turn them into a powerful sentence library. You can become an expert in ANY subject by following this method. Begin with an idea in your mind and research it, then develop your word list. The most important thing to remember after this is REVIEW! All this is explained in my course. Purchase it today and I will create your first word list and sentence library on any subject you like. Now you can have a Sentence Library created just for you! 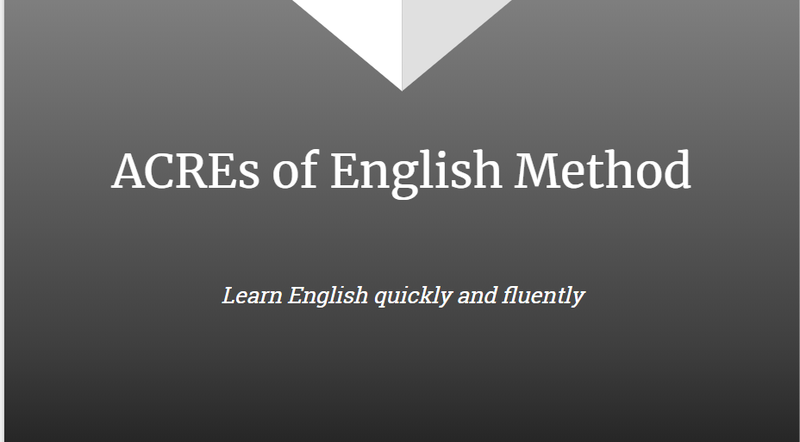 By purchasing my course, "The ACREs of English Method", I will send you a Sentence Library based on a subject of your choice. There will be 10 words and their translation, meaning and sentences picked for you. You can send an email with your Subject choice and language to acresmethod@mail.com.